It is time to get together! 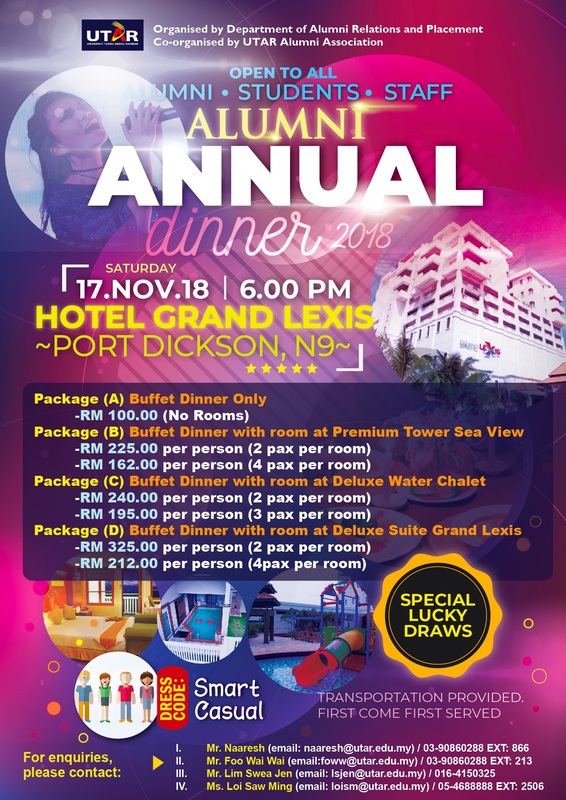 UTAR Alumni Relations & Placement Department (DARP) is proud to invite you to the Alumni Annual Dinner 2018 which will be held at Hotel Grand Lexis, Port Dickson on 17 November 2018. There are various interesting packages lined-up for the night. Feel free to select any packages you are interested in. Also, stand a chance to win amazing prizes during the lucky draw session. At the same time, you will enjoy various outstanding performances by professional artists. Do not miss out a whole lot of fun and fond memories to be remembered awaits you. Payment deadline: 15th October 2018. We are looking forward to seeing you with other alumni and guests at our gathering. Click on the link below for more info. 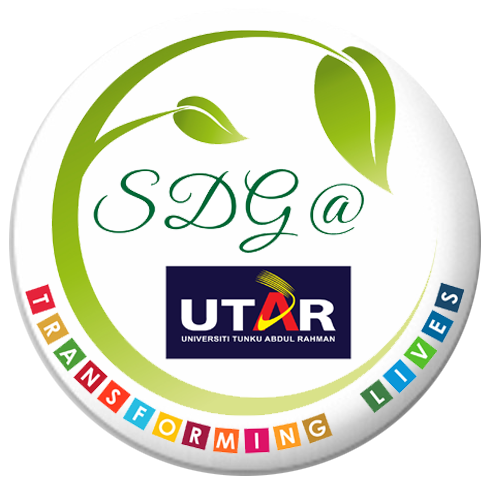 Kindly share this exciting news with all the UTAR Alumni friends. Looking forward to meeting everyone!